I must have passed by this little green house a dozen times or more before I knew it's relation to my family. I had walked my daughter to school many days. Passing by the Creek, by the small church in the neighborhood. I stood on the ground where my ancestors once stood totally unaware of their lives here. 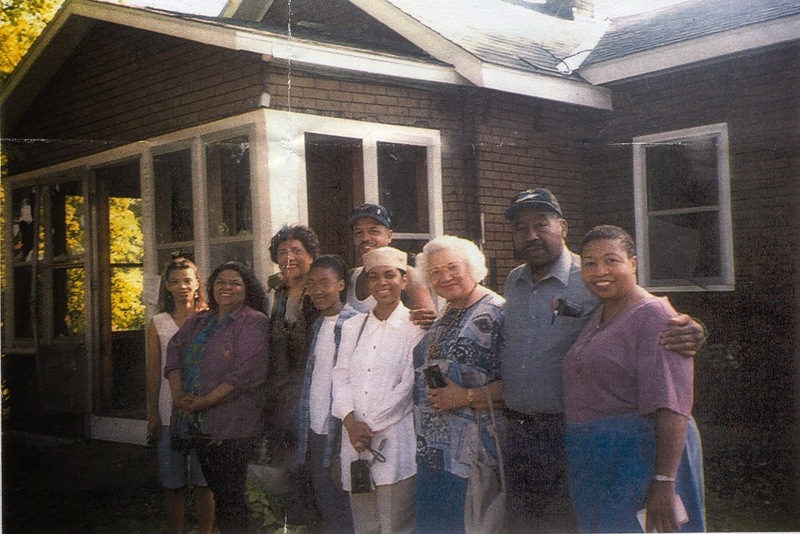 By the time I found out that it was the home of my Great Great-Grandparents, John Henry and Emiline Bannarn, the city of Minneapolis was already making plans to demolish the house and my cousin Delores was trying to save it. The house sat on the corner of 50th and Humboldt avenue. It's been 100 years since John Henry and Emiline came to Minneapolis and built their home. Back in those days this area of Minneapolis was considered the country...Today it's considered the city. Funny how times change. John Henry BANNARN was born a slave in Missouri about 1850. He was the son of NANCY SAUNDERS and his Irish slave owner. At some point John ended up in Texas where he met EMILINE SPENCER. Emiline was of Seminole Indian ancestry and was also born enslaved. She was the daughter of Jesse and Sally Spencer, who were both from North Carolina. John and Emiline were married July 4, 1869 in Hunt County, Texas. Together they had 10 children. Thomas, Dee, John, Walter, Monroe, Albert (Goree), Ellora, Laverne. The names of two of the children remains a mystery. I have always been told that my Bannarn ancestors moved often, never staying in one place for long and always traveled by covered wagon. Maybe this is indicative of their Native American ancestry. Looking at the census records this seems to be true. Between 1870-1910 they lived in many cities throughout Texas and Oklahoma. 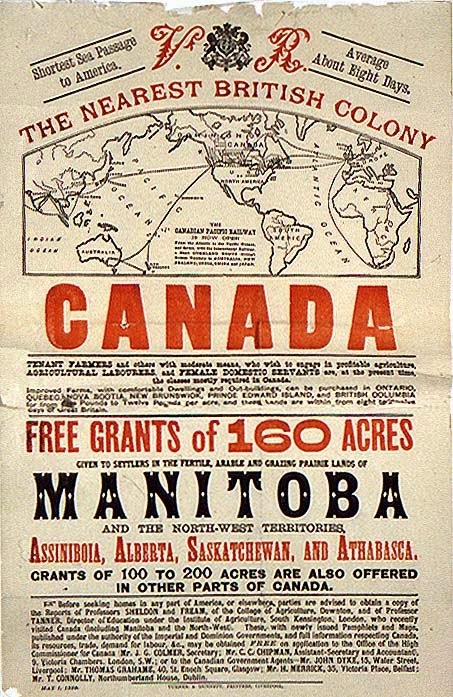 Around the turn of the century, the Canadian Government began advertising land in Canada. They sent newspaper ads like this to Oklahoma, Missouri, Kansas, Texas and other states. My ancestors like so many others left the south with the hope of finding a better life for their family. John Henry and Emiline along with some of their children and grandchildren, left Oklahoma in about 1912 and headed for Canada. Some family members got sick along the way and had to turn around and go back. My family's oral history says that my Great Grandfather, Dee Bannarn, John Henry's son, killed a man for making a pass at his wife Hassie. Fearing for their lives, the family left. I've wondered how much of the story is true..maybe the reason they left Oklahoma was a little of both. When they got to the border of Canada, for reasons unknown, John Henry and Emiline were turned away. Their son Albert, affectionately known as Goree, and his wife Lola, were allowed past the border and settled in Alberta, Canada. They had two daughters, Cleola and Gladys. After being denied access into Canada, John Henry and Emiline headed for Minnesota. They settled in the city of Minneapolis. They first show up in the city directory in 1913 living on 3rd street south. In 1914 John Henry and Emiline became one of the first to build a home in a small African American community in north Minneapolis called "Maple Leaf and Humboldt Heights". 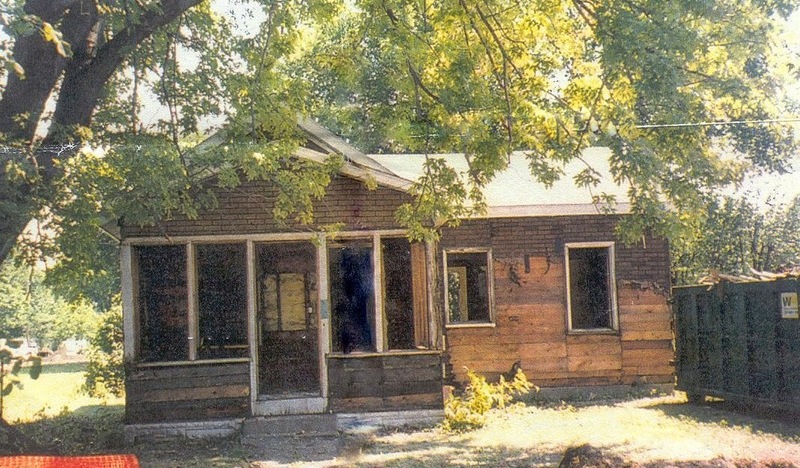 Despite all efforts to save the home, the city of Minneapolis decided to proceed with their project. A decision was made to take the house apart and study the method that John Henry built the home. Historian Carole Zellie started researching the history of the neighborhood and the families that migrated from the south. There were interviews with many family members. I remember how excited my grandmother, Margaret Doyle Bannarn, was to share her memories of the Bannarn family members as well as many pictures. In the summer of 2000, family members gathered at the J.H. Bannarn home to watch the demolition. Piece by piece, brick by brick they began to take the home apart. What they found in the process was very interesting. The home was built with salvaged wood. Some pieces were charred which indicated that there may have been a fire at some point. A closer study revealed that there was not a fire, John Henry had reused the burnt wood from another home. 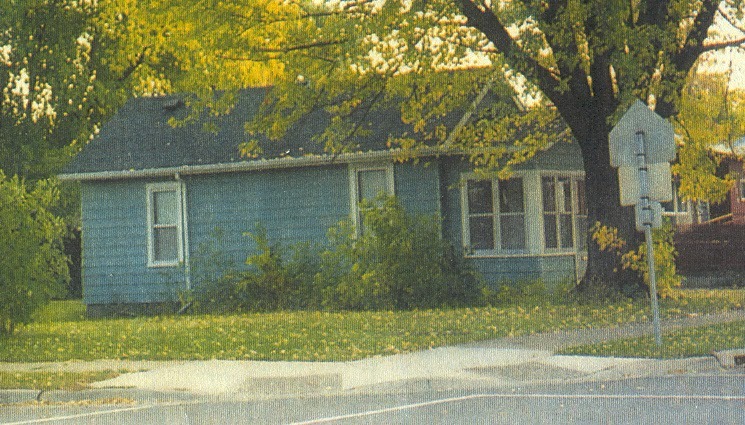 The original house was much smaller than what the photo shows. The front half as well as the porch were later additions. The house was layered with Asphalt, Depression Brick and Tar Paper. The foundation was made of rocks and bricks that were roughly set in cement by hand. I remember one of the workers that day said that John Henry must of been a short man because the basement ceiling height was not much over five feet. I was surprised when they pulled the walls apart, and found the insides lined with nothing more than newspaper for insulation. At the end of the research. There was a booklet made, detailing the history of the families. It is now available in the local library. Today, the homes are gone. Green grass and trees line the Greenway where the homes once stood. 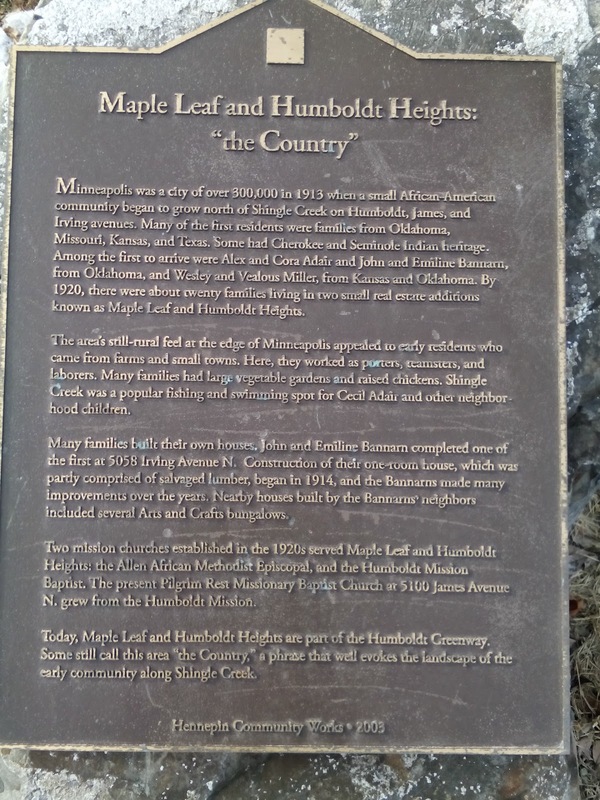 There is a plaque that sits in the middle of the block, implanted on a large rock, in memory of my ancestors along with the many other families who migrated to the Minneapolis Shingle Creek area, Maple Leaf and Humboldt Heights community and made a home there in the early 1900's. I am reminded of John Henry and Emiline each and every time I drive down Humboldt avenue..Occasionally I stop, and walk on the grass where the house once stood. As I stand there in their footsteps, I try to imagine what their life was like 100 years ago. I can see Grandma Emiline in her garden..I can see her gathering eggs in the chicken coop, there's Grandpa John Henry down at Shingle Creek fishing for today's supper.. I'm glad you got to see the house before it was taken apart. It's sad it couldn't remain for a museum. The home likely witnessed many happy days for your family. I love the creativity of John Henry, taking what he had to build a comfortable home for his family. Your ancestor did a beautiful job using the discarded to make a comfortable home for his family. Yes, he truly recycled his materials. Nothing was wasted in those days. Thanks LindaRe!